Chocolate dipped strawberries are one of the most romantic and easiest desserts. Cooks of all skill levels can prepare this treat and it has less than five ingredients. This recipe has a little caffeinated twist, freshly brewed coffee is mixed into the ganache (a combination of chocolate and heavy cream). The coffee adds depth and complexity to the sauce while also bringing a note of surprise to the unsuspecting eater. This is a great trick to remember when creating any chocolate dessert. The simple elegance of mocha chocolate dipped will have you coming back to this recipe again and again. Step 1: Melt the chocolate and heavy cream together in a bowl and set over simmering water until just melted. Gently stir in the brewed coffee and remove from heat. 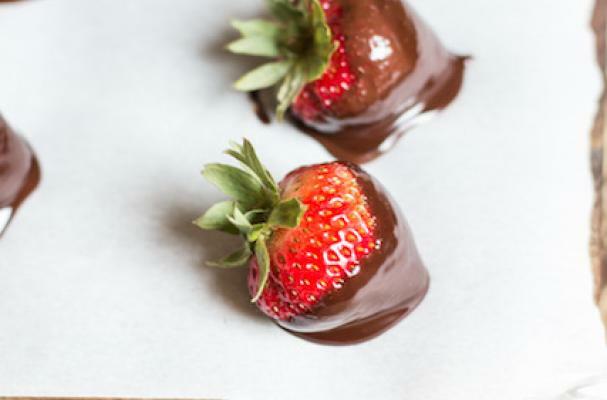 Dip each strawberry in the chocolate mixture and set aside on waxed or parchment paper to dry.